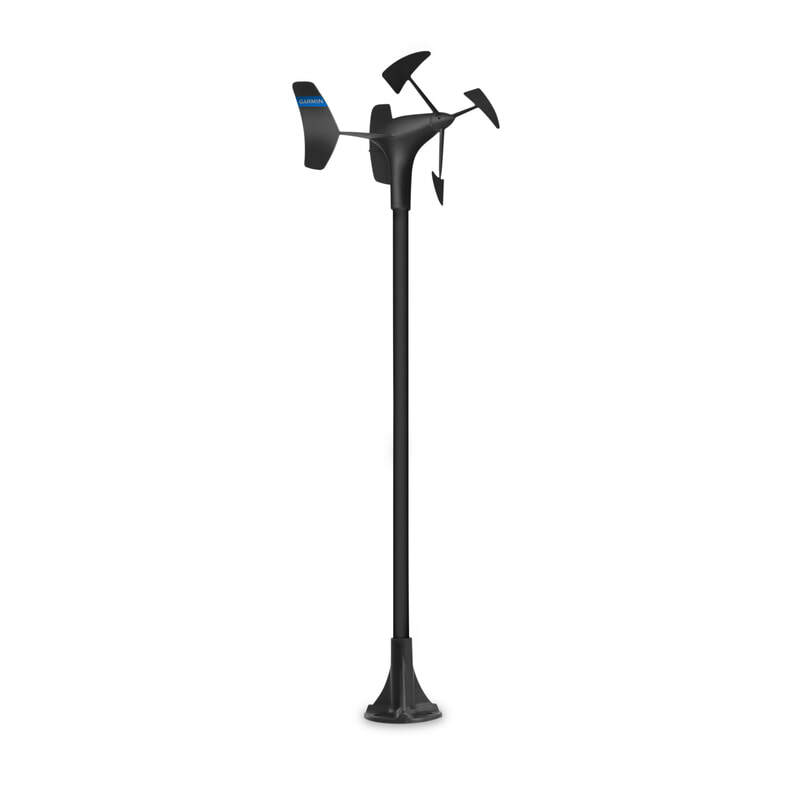 Designed for racing sailboats, the gWind Race wind sensor has a 1 meter straight pole that raises the wind transducer above the mast to remove turbulence errors from the sail wash.
3.3 feet (1 meter) straight pole raises the wind transducer above the mast to remove turbulence errors from the sail wash. Optic reading technique provides superior performance at low wind speeds and excellent linearity. GND™ 10 black box bridges NMEA 2000® data to Nexus Network and enables Garmin compatible chartplotters integrate with Nexus sail equipment and vice versaDesigned for racing sailboats, the gWind Race features a 3.3 feet (1 meter) straight pole to raise the transducer above the mast to remove turbulence errors. Features twin-fin technology with 3-bladed propeller for more accurate TWS in lighter air while the twin-fin design gives a more stable TWA. The 3-bladed propeller, unlike a cups design, is always efficient.